It’s just over 20 years old but The Hampshire’s Manor layout, plotted within 240 acres of scenic rolling countryside in the Test Valley, is maturing extremely fast. It also happens to sit on free-draining chalk downland and as a result rarely closes. Off-course it boasts a nine-hole/18-tee academy course, 10-bay driving range and an excellent short-game area. 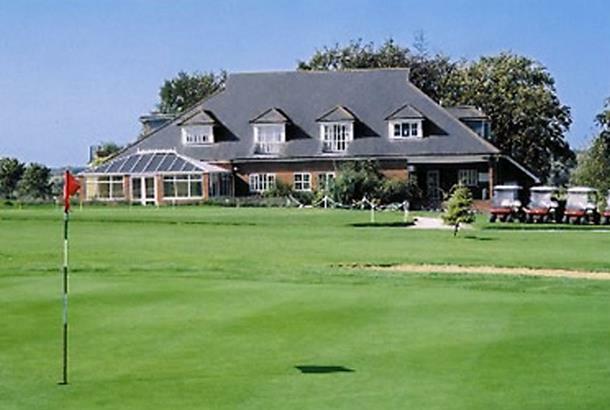 Founded in 1993, The Hampshire Golf Club is set in 240 acres of rolling Hampshire Countryside in the famous Test Valley. The undulating land provides wonderful views and a backdrop for the 35,000 young native hardwood trees and shrubs. The 9 hole Par 3 Academy Course provides an excellent facility to hone your short game. A 10 bay driving range and chipping/bunker area are also available for practice. Societies are given a warm welcome to the golf club and a number of packages are available to make your day a memorable one. Have played The Hampshire several times over the years. A visit with a 30 strong society in February 2016 gives the impression the club is being run down. Greens were patchy and variable, several bunkers in a terrible state, fairways have poor definition and multiple unrepaired divots, and there is a lot of vermin damage. No-one saw any green staff at all between 10:00 and 16:00. No hot water or heating in the clubhouse, Only two hard working staff to cook, take orders, serve some barely adequate food and staff the bar. Could go on. Staff told us this is the norm. Not bad for money but bunkers could do with a bit more sand and less stones please, other than that this is a pleasant course to play with lovely views across the Hampshire countryside on a clear day. Played here 13 April, course was in very good condition, fast greens and wide fairways. The layout makes the most of the hillside location and some holes are challenging as a result. Worth a visit. I expected a wide and flat course. It was wide but not flat. Had at least 9 good holes. Holes 2-6 are very good. Has one of the best par 3s i have played in Hampshire. Fairways are superb for winter play,drains very well. Greens are patchy as expect they have suffered due to winter snow. I played in Jan 11 so by summer it will be interesting. The course has plenty of bunkers. Great value for money course and as stated worth playing when other courses have temp greens and tees in winter. I played here about 5 weeks ago and they had just spiked the greens for dressing so that pretty much ruined the round for me and my playing partner. We were told they should be back to normal in a few weeks and we understood these things have to be done but they should have given a reduced green fee price to reflect the state of the greens(UNPLAYABLE). Well, we went back today and guess what, the greens are still SHOCKING!!!!!!. on the 13th there were 3 holes that you could putt in. It is a lovely course for views and there are a couple of nice holes but again it was a waste of money as the greens just ruined what could have been a good round. What is the point of playing golf if you cannot see if your putting is getting better or worse because of terrible greens. We wont be going back, There are better courses in the area, such as Erlestoke. Having played here a couple of times this is a great course. As i like to carry my bags (you get a better feel for the course) this was a great walk, amazing views worth the green fee alone! This course is not your simple up and downer you play steep uphill and down. The only let down being the greens in the afternoon slow and unreadable, in the morning lighting fast. Have played here lots and always enjoyed it. The course is well drained and always playable and makes the most of elevation - par 3 fourth hole is great. There's a good mix of hole lengths to keep you interested and the greens have always played well when I've been there. It can all look a bit scruffy and its a shame the 18th is like a building site, because at the price a guest pays, its a decent day out. Not the best day for golf in terms of weather but my playing partner and I were keen enough. We arrived to a welcome which consisted of us having to find a staff member. In the end someone turned up and took our money before telling us we can go straight out so long as we don't bother the members. Most of the tees were out of use so the 1st tee was a mowed piece of turf next to the path and the greens although kept short were not good to putt on. There were divots as though someone had been chipping on them. This was not one or two greens but all of them!! Every hole was the same boring trudge up the fairway. There was no variation to the holes at all. Not worth the £27 midweek, winter green fee! One good point was the views. As most of the course is situated on a hill the view over the Test Valley was one to take in.